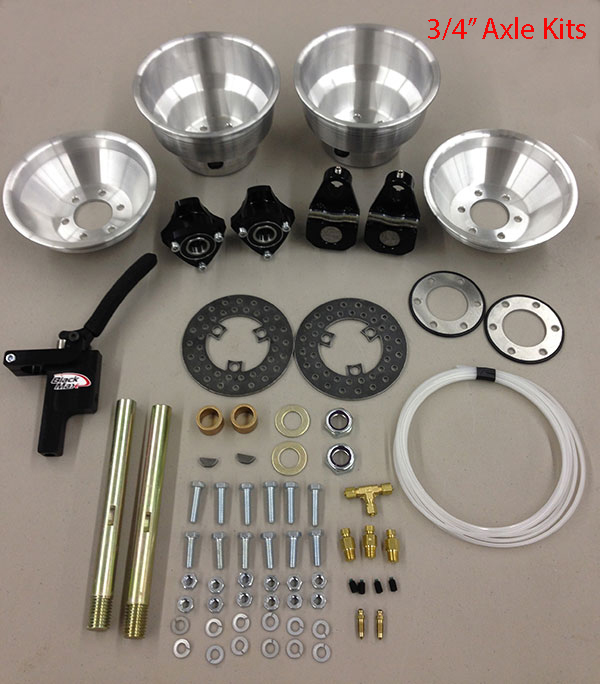 High performance hydraulic brake systems and accessories for light sport aircraft, ultralights, and experimental aircraft. regardless of the ship method. Black Max Brakes has been the perfect choice to upgrade your experimental aircraft, light sport aircraft, or ultralight aircraft from the poor performing drum brakes to a the smooth powerful braking action of Black Max Hydraulic Brakes. Our kits come with everything you need to convert your aircraft. If you can mount the axle spindle to your airframe you're good to go. Some experimental aircraft manufacturers have an ideal set up where the axle spindle is removable and pined to a chromoly sleeve. In that case you simple remove your factory axle spindle and insert the Black Max spindle and drill the mounting hole. 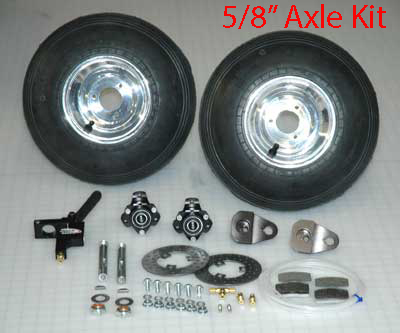 Everything else attaches to the axle. In some cases the manufactures of the experimental aircraft welded the axle to a chromoly sleeve at a specific angle that attaches to the gear leg. In those cased we make special axle adapters with our axle welded to the sleeve so that you don't have to do any welding. Send us a picture of your axle gear leg set up and we be happy to make some suggestions of how we could help you adapt your experimental aircraft with Black Max Hydraulic Brakes.